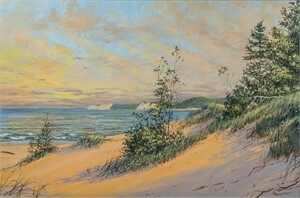 My Work is the capture of nature with a traditional approach so all can enjoy its beauty. 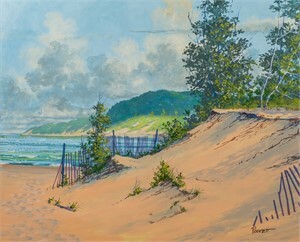 The emphasis is design, color and form. 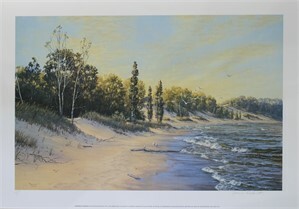 The subject is the ever changing Michigan shoreline. The approach is realistic. 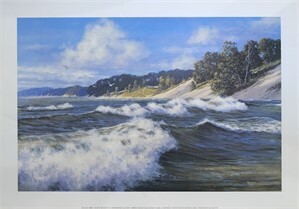 The “Rockett” signed paintings have been purchased for homes and businesses in the Midwest for over forty years. 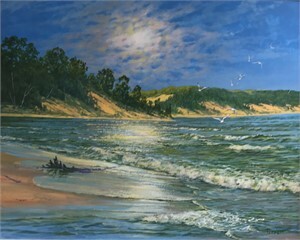 Known as “the artist who paints the Lake,” she continues to paint Lake Michigan with sensitivity and distinction. 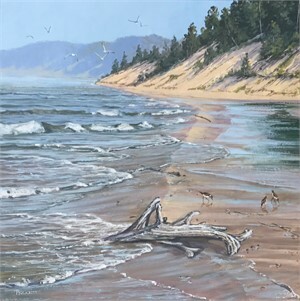 Jeanne Rockett majored in art education at the School of the Art Institute of Chicago, studied at Calvin College, and the Chicago School of Interior Decoration. 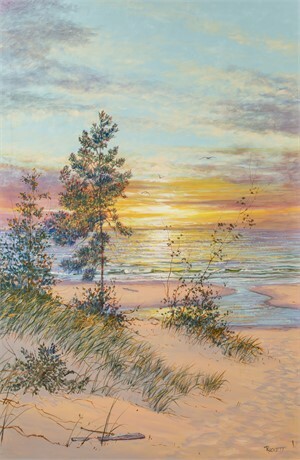 She taught Art in a local school system for 10 years and taught limited classes for adults in her studio. 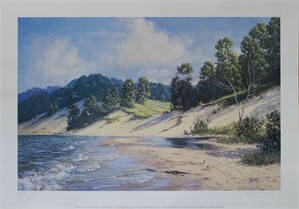 Recognition of her talent came in 1987 when she became First Place Winner in Michigan’s sesquicentennial “Living Legends” Art Contest sponsored by the Department of Natural Resources. 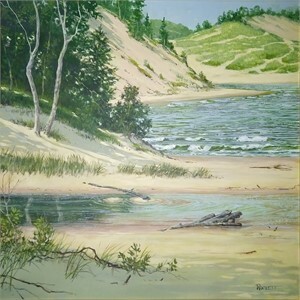 Her painting of the Michigan dunescapes reflects her love of an area where she vacationed since childhood, and her desire to see it preserved. 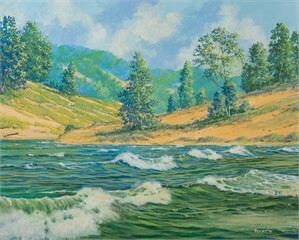 Jeanne works on canvas without an acrylic medium, and using only water for the many transparent glazes which afford depth, especially when painting water as a subject. Her original sketches are kept very simple and rather abstract. 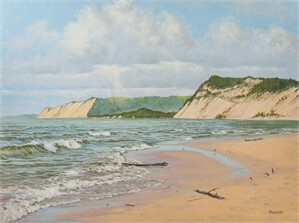 Earth colors dominate the paintings. She finds the neutral colors less tiring than bright colors. The two controlling design elements are the composition and color value patterns. 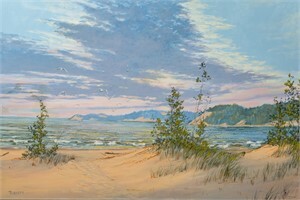 She expresses herself with a limited palette consisting of eight colors and white.